walk, bike & drive safely! The Maine Bicycle & Pedestrian Safety Education (BPSE) Program ( another partnership of the Maine Department of Transportation and the Bicycle Coalition of Maine) is currently scheduling Bicycle and Pedestrian Safety Classroom Presentations for the fall. The program also has a Bicycle Helmet Program and can offer technical assistance for Bike Safety Rodeos and After School Bicycle Clubs. As we begin the new school year, it is good to remember that many students will be riding bikes or walking to school and to other activities. The BPSE Program reached about 20,000 kids last year­ and can help keep your students safe and healthy. Dates fill quickly, so please sign up soon! Remember that safety is a 2-way street. Flourishing Safe Routes to School projects succeed by including each of the "Six E's" to ensure that their project is a well-rounded, multi-prong and time-tested approach to getting students safely walking and bicycling. Engineering - Design, implementation and maintenance of infrastructure that improves safety along school commute routes. Enforcement - Strategies to deter the unsafe behavior of drivers, bicyclists and pedestrians, and encourage all road users to obey traffic laws and share the road. Education - Outreach and lessons that teach students and parents traffic safety skills and the benefits of active modes. Encouragement - Events, clubs, and activities that encourage more walking, bicycling, or carpooling through fun activities and incentives. Evaluation - Surveys and hand tallies track progress toward program goals, assess successes and identify ways to improve programs. Equity - An assessment of the distribution of impacts (benefits and costs) of bicycling programs, policies, and infrastructure improvements, and whether that distribution is appropriate. Learn more about the 6 E's by clicking here. International Walk to School Day is a global event that involves communities from more than 40 countries walking and biking to school on the same day. It began in 1997 as a one-day event. Over time, this event has become part of a movement for year-round safe routes to school and a celebration. Thousands of schools across America - from all 50 states, the District of Columbia, and Puerto Rico - participate every October. Walk and bike to school activities are an easy and low-­to­-no-­cost part of the solution to traffic safety, learning readiness, and childhood obesity concerns in your community. Every step to help get kids outside and more active is a step in the right direction! "Walking Wednesdays", "Bike Rodeos", "Walking School Buses", and "Celebrity Crossing Guards" are just a few of the many creative ways used by schools and communities across Maine to encourage more students to walk and bike to school and around town. 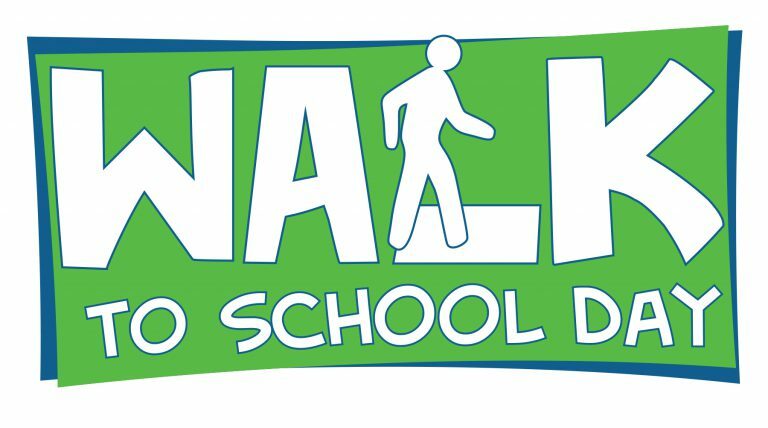 Help make Walk to School Day successful in your community by encouraging public officials from your town or city to join students as they walk to school this year. Your leadership can help build support for this event and inspire others to join the celebration . Annual "Walk to School Day"
The RTP provides funds to the States to develop and maintain recreational trails and trail-related facilities for motorized and nonmotorized recreational trail uses. This 2-day workshop includes an overview of the techniques and a hands-on component to build sustainable trails that provide enjoyment for all. Whether you work with an existing trail or are contemplating a new trail, this workshop is for you! Learn how challenges are being overcome and how accessibility measures are being put to use. Creating Healthy Communities Program - their commitment to shared use policy adoption, implementation, advocacy, and education in communities with chronic disease concerns. Teach your students to travel safely! The Maine BPSE Program offers free bicycle & pedestrian safety education to schools, rec programs, and other youth organizations. The training covers 8 key points for young pedestrians and bicycle drivers. Adult education is also available. Contact Erik daSilva with questions.